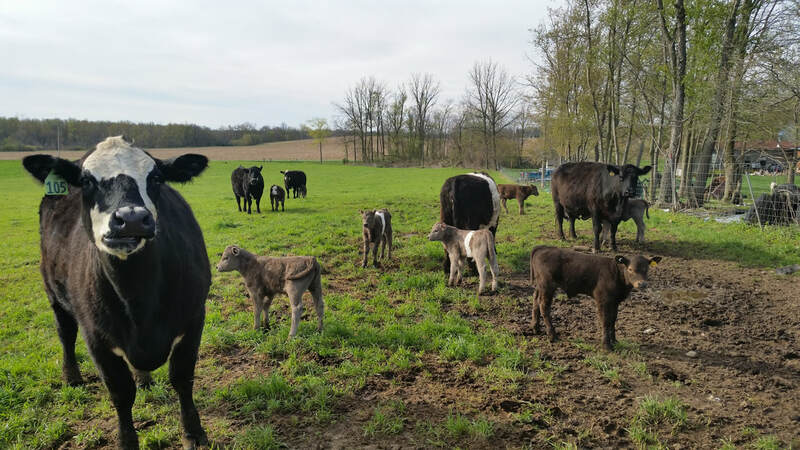 Our beef are pastured raised their entire lives. 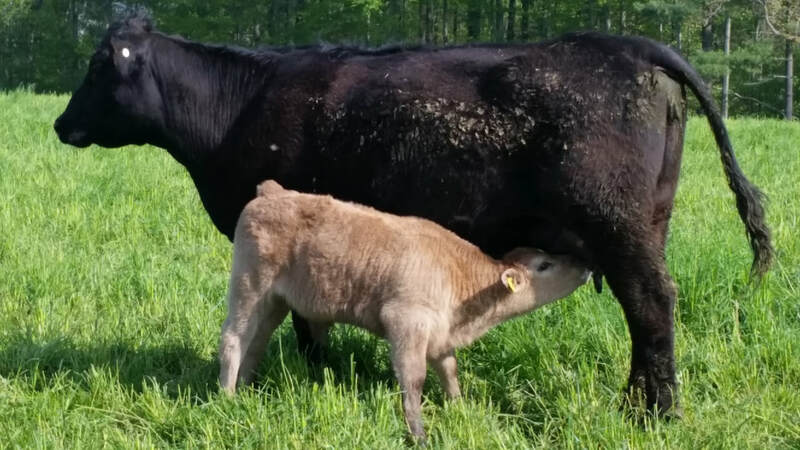 They are never fed grain or GMO's but are instead rotationally grazed in our pastures all year long. 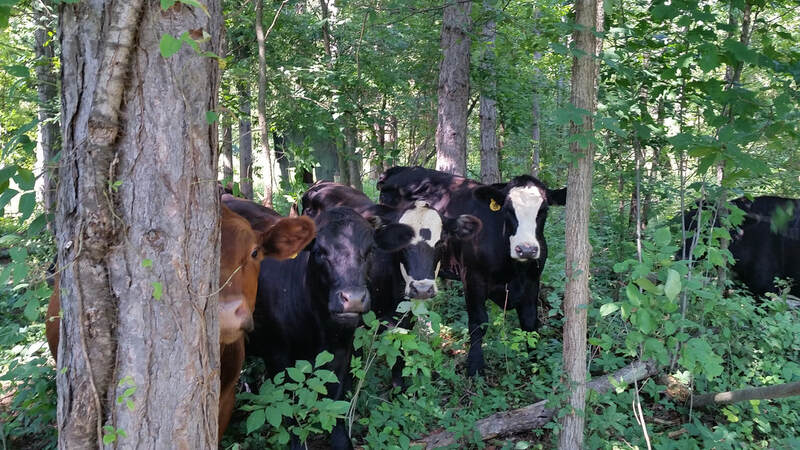 We believe that these practices produce a healthy, flavorful beef. 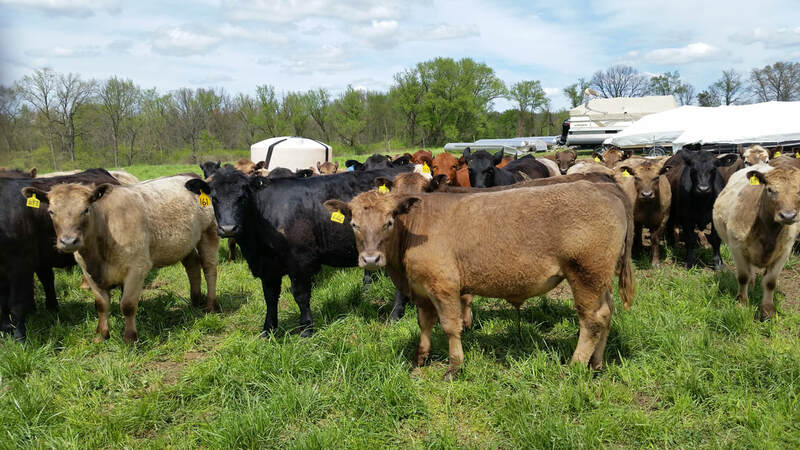 We expect our cattle to grade as a high percentage "Choice" and/or top "Select" on the USDA Beef grading scale. 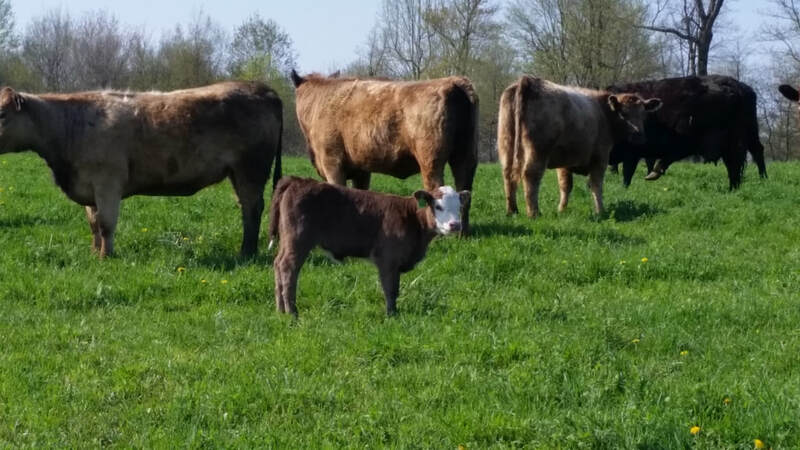 We harvest our beef at a weight and maturity that obtains a marbled and full flavored eating experience. said to be a cancer fighter!